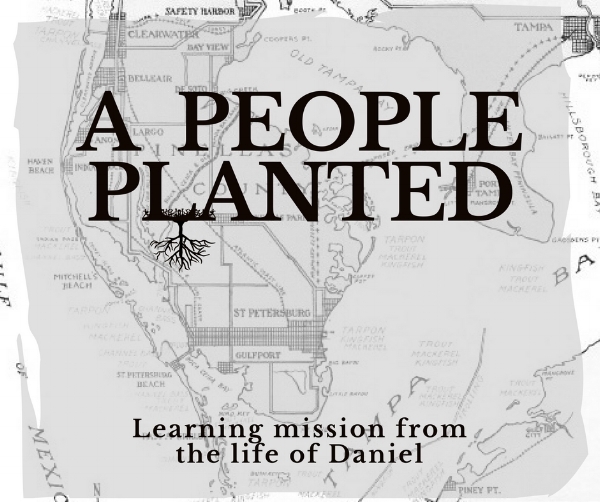 A People Planted is a 10 week series looking at integral aspects of living out God’s mission in our time and in this place. By looking at the life of Daniel and the exile to Babylon together we’ll learn about living at the intersection of God’s plan & our troubled times. We'll dig into truths about our culture, the gospel, our beliefs and our conduct with the hope of being further equipped to live as faithful missionaries in a world that increasingly wants nothing to do with the God of the Bible. What should we believe? Who do we need to be? What does it look like to faithfully follow Jesus on mission in St. Pete? We’ll cover these questions and more as we ask God to make us A People Planted in our city for his glory.